Perfectly pepper flavored lean whole muscle beef jerky. 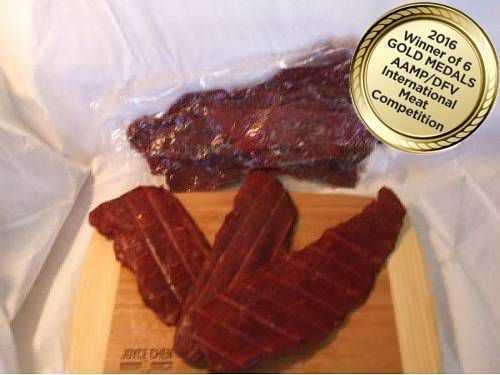 You have never had jerky like this! Every bite creates a flavor-burst in your mouth. A must try if you enjoy beefjerky.